When shooting a subject up close, even the smallest movement is exaggerated and can create a blurred shot if a fast shutter speed isn’t used. With Wimberly the Plamp, clamping subjects in place just where you want them couldn’t be easier. On one end of the Plamp there’s a helpful clamp to quickly attach it to a tripod leg, table edge, or multitude of other surfaces. 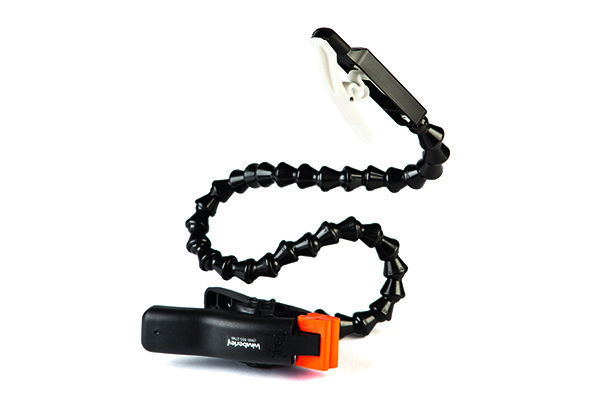 With the Plamp in position, the subject can then be held in place via a smaller clip on the opposite end. Made from a series of detachable ball joints, the Plamp is flexible, but at the same time consistently rigid, enabling it to hold medium-to- lightweight objects with relative ease. It really comes into its own when used to stabilise delicate subjects – like a flower when shooting outside, preventing movement from the breeze. The 55cm Plamp is priced at £29.99, but Wimberly also offers an extension kit for £7.99, which adds an additional 30cm of length, making it ideal for anyone shooting with a longer macro lens. For situations that require the use of more than two hands, the Plamp is invaluable - you’ll soon wonder how you ever managed without it!